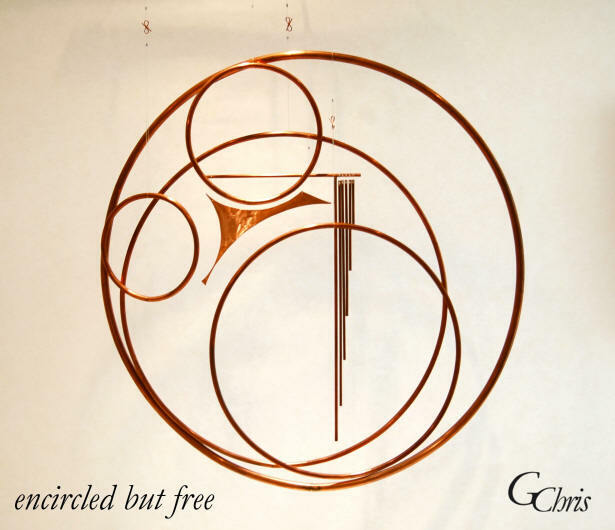 "encircled but free" is a mobile sculpture by Gary "Chris" Christopherson (GChris). Website: www.GChris.com The message is that even when one is encircled (vulnerable, captured, threatened) by some force, one is still free. One can reduce one's own vulnerability and achieve thriving, and others can join to reduce vulnerability and achieve thriving.